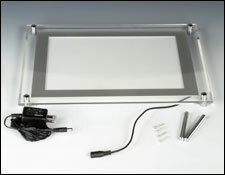 (with anchors), and a power adapter. 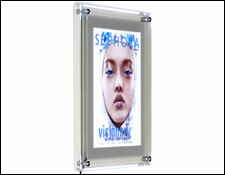 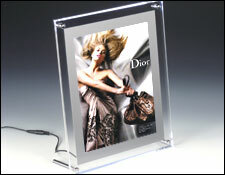 This light panel accommodates a portrait or landscape style picture for either a countertop or wall mounted presentation. 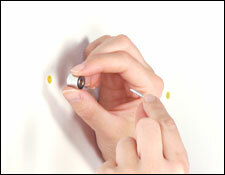 For a countertop display, simply adjust the metal hardware to the desired configuration. 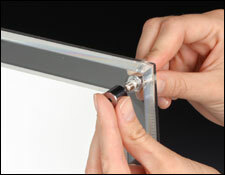 To install pictures, unscrew the hardware and slide your image between the two acrylic panels into the inner silver frame. 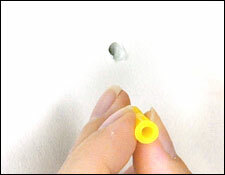 anchors as far as they will go making sure the stand-offs are securely tightened to the wall. 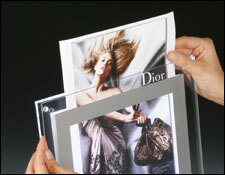 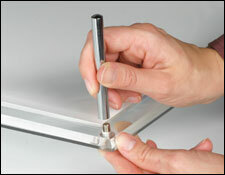 Attach the light box by fastening the binding screws onto each corner. 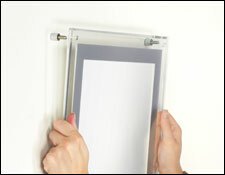 Finally, plug in the power adapter to illuminate the frame.